President Barack Obama has sent his condolences to the family of late pop star Michael Jackson, who died on Thursday afternoon in Los Angeles. White House Press Secretary Robert Gibbs conveyed the President's reaction to the loss of the entertainer during a news conference in Washington, D.C. on Friday. 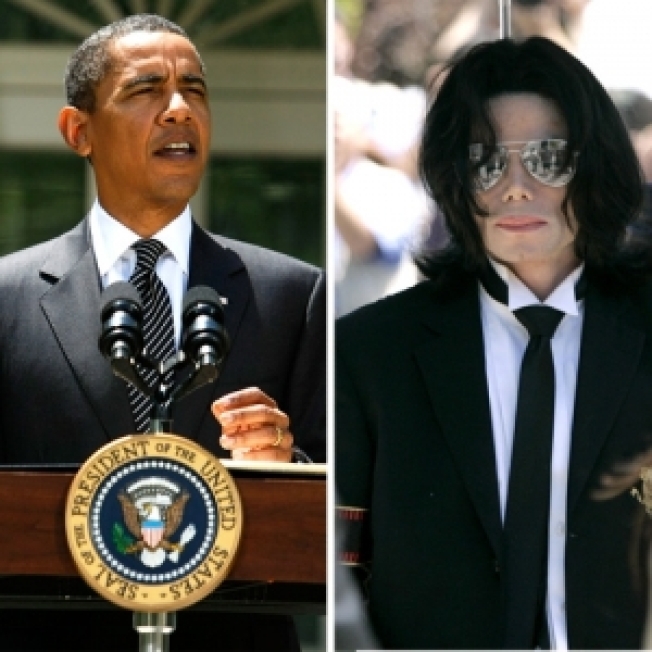 Gibbs recounted to the media President Obama's reaction, telling reporters the Commander in Chief had commented that "Michael Jackson was a spectacular performer, a music icon. Everyone remembers hearing his songs, watching him moonwalk on television during Motown's 25th anniversary. But the President also said that [there were] aspects of his life that were sad and tragic. His condolences went out to the Jackson family and fans who [are mourning] his loss." As previously reported on AccessHollywood.com, Jackson died in Los Angeles after suffering from what is believed to be cardiac arrest at his rented Holmby Hills home on Thursday afternoon. An autopsy to determine the official cause of death is ongoing. A preliminary report was expected on Friday afternoon, though toxicology reports are expected to take several weeks.